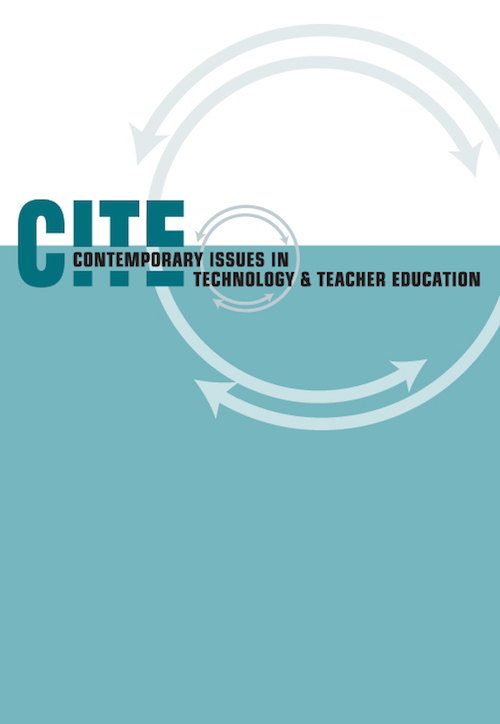 This article is a commentary essay that uses the connected learning framework (Ito et al., 2013) as a lens to explore the relationship between making, coding, and critical literacy in the context of literacy teacher education. Critical literacy theorists have argued that it is important to understand the perspective and positionality of an author in order to make sense of a text in the context of history, society, and cultural norms (Alvermann, Moon, & Hagood, 1999; Gee, 1999; Jewitt, 2008). Likewise, software, written by coders, is also a form of media that requires interrogation and critical analysis. Increasingly, digital technologies have played a part in individuals’ social, political, and economic lives, yet only a small percentage of individuals can read the code that has designed this software (Rushkoff, 2010). Therefore, to foster greater civic literacy and engagement, an important aspect of literacy instruction in the digital era should include a basic understanding of the fundamentals of coding languages. However, few teacher educators have the knowledge of computer programming to integrate coding into literacy education courses and, therefore, this aspect is missing from much of current teacher education. Baker-Doyle, K. (2018). I, Pseudocoder: Reflections of a Literacy Teacher-Educator on Teaching Coding as Critical Literacy. Contemporary Issues in Technology and Teacher Education, 18 (2), 255-270. Waynesville, NC USA: Society for Information Technology & Teacher Education. Retrieved April 23, 2019 from https://www.learntechlib.org/primary/p/180585/. Adler, P.S., & Kwon, S.-W. (2002). Social capital: Prospects for a new concept. Academy of Management Journal, 27(1), 17–40. Alvermann, D.E., Moon, J.S., & Hagood, M.C. (1999). Popular culture in the classroom: teaching and researching critical media literacy. New York, NY: Routledge. Ames, M.G., & Burrell, J. (2017). ‘Connected Learning’ and the equity agenda: A microsociology of Minecraft play. In Proceedings of the 2017 ACM Conference on Computer Supported Cooperative Work and Social Computing (pp. 446–457). Apperley, T., & Beavis, C. (2011). Literacy into action: Digital games as action and text in the English and literacy classroom. Pedagogies: An International Journal, 6(2), 130–143. Apperley, T., & Beavis, C. (2013). A model for critical games literacy. E-Learning and Digital Media, 10(1), 1–12. Apple, M.W., & Jungck, S. (1990). “You don’t have to be a teacher to teach this unit”: Teaching, technology, and gender in the classroom. American Educational Research Journal, 27(2), 227–251. Baker-Doyle, K.J. (2017). Transformative teachers: Teacher leadership and learning in a connected world. Cambridge, MA: Harvard Education Press. Barab, S.A., Gresalfi, M., & Ingram-Goble, A. (2010). Transformational play: Using games to position person, content, and context. Educational Researcher, 39(7), 525–536. Belman, J., & Flanagan, M. (2010). Designing games to foster empathy. International Journal of Cognitive Technology, 15(1), 11. Buechley, L., & Hill, B.M. (2010). LilyPad in the wild: how hardware’s long tail is supporting new engineering and design communities. In Proceedings of the 8th ACM Conference on Designing Interactive Systems (pp. 199–207). Buechley, L., Peppler, K., Eisenberg, M., & Kafai, Y. (2013). Textile messages: Dispatches from the world of e-textiles and education. London, UK: Peter Lang Publishing Incorporated. Bullough Jr, R.V., & Pinnegar, S. (2001). Guidelines for quality in autobiographical forms of self-study research. Educational Researcher, 30(3), 13–21. Clandinin, D.J., Pushor, D., & Orr, A.M. (2007). Navigating sites for narrative inquiry. Journal of Teacher Education, 58(1), 21–35. Coleman, E.G. (2013). Coding freedom: The ethics and aesthetics of hacking. Princeton, NJ: Princeton University Press. Connelly, F.M., & Clandinin, D.J. (1990). Stories of experience and narrative inquiry. Educational Researcher, 19(5), 2–14. Cope, B., & Kalantzis, M. (2009). “Multiliteracies”: New literacies, new learning. Pedagogies: An International Journal, 4(3), 164–195. Filipiak, D., & Miller, I. (2014). Me and the D: (Re) Imagining literacy and Detroit’s future. English Journal, 103(5), 59. Flanagan, M., Howe, D.C., & Nissenbaum, H. (2005). Values at play: Design tradeoffs in socially-oriented game design. In Proceedings of the SIGCHI Conference on Human Factors in Computing Systems (pp. 751–760). Flanagan, M., & Nissenbaum, H. (2007). A game design methodology to incorporate social activist themes. In Proceedings of the SIGCHI Conference on Human Factors in Computing Systems (pp. 181–190). Freire, P., & Macedo, D. (2005). Literacy: Reading the word and the world. London, UK: Routledge. Gee, J. (2003). What videogames have to teach us about learning and literacy. Computers in Entertainment, 1(1), 20–20.???? Gee, J.P. (2008). Videogames and embodiment. Games and Culture, 3(3–4), 253–263. Gutiérrez, K.D. (2008). Developing a sociocritical literacy in the thirdspace. Reading Research Quarterly, 43(2), 148–164. Hayes, E.R., & Games, I.A. (2008). Making computer games and design thinking: A review of current software and strategies. Games and Culture, 3(3–4), 309–332. Hsu, H.-Y., & Wang, S.-K. (2010). Using gaming literacies to cultivate new literacies. Simulation& Gaming, 41(3), 400–417. Hull, G.A., & Schultz, K. (2002). School’s Out: Bridging out-of-school literacies with classroom practice. New York, NY: Teachers College Press. Ito, M., Soep, E., Kligler-Vilenchik, N., Shresthova, S., Gamber-Thompson, L., & Zimmerman, A. (2015). Learning connected civics: Narratives, practices, infrastructures. Curriculum Inquiry, 45(1), 10–29. Jenkins, H. (2012). Textual poachers: Television fans and participatory culture. London, UK: Routledge. Jenkins, H., & Zimmerman, A. (2016). By any media necessary: The new youth activism. New York, NY: NYU Press. Jewitt, C. (2008). Multimodality and literacy in school classrooms. Review of Research in Education, 32(1), 241–267. Kafai, Y.B., Lee, E., Searle, K., Fields, D., Kaplan, E., & Lui, D. (2014). A crafts-oriented approach to computing in high school: Introducing computational concepts, practices, and perspectives with electronic textiles. ACM Transactions on Computing Education, 14(1), 1. Kellner, D., & Share, J. (2005). Toward critical media literacy: Core concepts, debates, organizations, and policy. Discourse: Studies in the Cultural Politics of Education, 26(3), 369–386. Kow, Y.M., Young, T., & Tekinbas, K. (2014). Crafting the metagame: Connected learning in the StarCraft II community. Connected Learning Working Papers, 1–46. Larson, K., Ito, M., Brown, E., Hawkins, M., Pinkard, N., & Sebring, P. (2013). Safe space and shared interests: YOUmedia Chicago as a laboratory for connected learning. Pennsauken, NJ: BookBaby. Latour, B. (1992). Where are the missing masses? The sociology of a few mundane artifacts. In W. Bijker & J. Law (Eds. ), In shaping technology-building society. Studies in sociotechnical change (pp. 225–259). Cambridge, MA: MIT Press. Luke, A. (2012). Critical literacy: Foundational notes. Theory into Practice, 51(1), 4–11. Mawhinney, L., & Petchauer, E.M. (2013). Coping with the crickets: A fusion autoethnography of silence, schooling, and the continuum of biracial identity formation. International Journal of Qualitative Studies in Education, 26(10), 1309–1329. Mirra, N., & Garcia, A. (2017). Civic participation reimagined: Youth interrogation and innovation in the multimodal public sphere. Review of Research in Education, 41(1), 136– 158. Morrell, E. (2012). 21st‐century literacies, critical media pedagogies, and language arts. The Reading Teacher, 66(4), 300–302. Pelletier, C., Burn, A., & Buckingham, D. (2010). Game design as textual poaching: media literacy, creativity and game-making. E-Learning and Digital Media, 7(1), 90–107. Roque, R., Kafai, Y., & Fields, D. (2012). From tools to communities: Designs to support online creative collaboration in Scratch. In Proceedings of the 11th International Conference on Interaction Design and Children (pp. 220–223). Salen, K. (2008). Toward an ecology of gaming. The Ecology of Games: Connecting Youth, Games, and Learning, 1–20. Schrier, K. (2014). Learning, education and games. Volume 1: Curricular and design considerations. Pittsburgh, PA: ETC Press. Searle, K. (2016, April). Making activities with electronic textiles in an American Indian community school. Paper presented at the American Educational Research Association Annual Conference, Washington DC. Sheridan, K., Konoplasky, A., Williams, A., & Wingo, G.J.J. (2016, April). Resourceful and inclusive: Toward design principles for makerspaces. Paper presented at the American Educational Research Association Annual Conference, Washington DC. Sicart, M. (2009). The banality of simulated evil: designing ethical gameplay. Ethics and Information Technology, 11(3), 191–202. Simkins, D.W., & Steinkuehler, C. (2008). Critical ethical reasoning and role-play. Games and Culture, 3(3–4), 333–355. Smith, A., West-Puckett, S., Cantrill, C., & Zamora, M. (2016). Remix as professional learning: Educators’ iterative literacy practice in CLMOOC. Education Sciences, 6(1), 12. Thomas, E.E., & Stornaiuolo, A. (2016). Restorying the self: Bending toward textual justice. Harvard Educational Review, 86(3), 313–338. Vasudevan, L. (2006). Making known differently: Engaging visual modalities as spaces to author new selves. E-Learning and Digital Media, 3(2), 207–216. Walsh, C. (2010). Systems-based literacy practices: Digital games research, gameplay and design. Australian Journal of Language and Literacy, 33(1), 24. Walsh, C., & Apperley, T. (2009). Gaming capital: Rethinking literacy. In Changing Climates: Education for sustainable futures. Proceedings of the AARE 2008 International Education Research Conference, Queensland University of Technology, Australia. Zimmerman, E. (2007). Gaming literacy. Harvard Interactive Media Review, 1(1), 30–33.